Our concentrated, first-milking Colostrum is produced using a proprietary process and is standardized to provide naturally-occurring IgG and PRPs (Proline-Rich Polypeptides). 15%** PRPs (Proline-Rich Polypeptides) - Considered to be Colostrum's most important fraction. 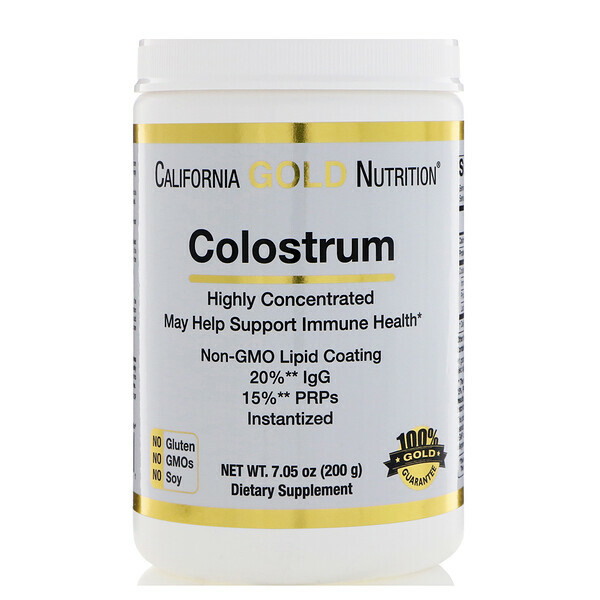 Our premium Colostrum is sourced year-round from USDA Grade A dairy cows raised in the United States. It is laboratory tested to ensure it is antibiotic and rBST-free. It is low-heat processed in a state of the art facility, allowing us to provide you with the highest quality Colostrum at an exceptional value! ** The standardized Colostrum fraction percentage claims (20% igG & 15% PRP) are conservative averages, based on years of analytical results provided by our supplier. These levels may vary slightly from batch to batch, as Colostrum is a naturally-derived ingredient. Mix 1 scoop (2.5 cc scoop yields approximately 1 gram♦) 1-2 times daily with purified water or your favorite liquid of choice and drink on an empty stomach, or as directed by your qualified healthcare practitioner. 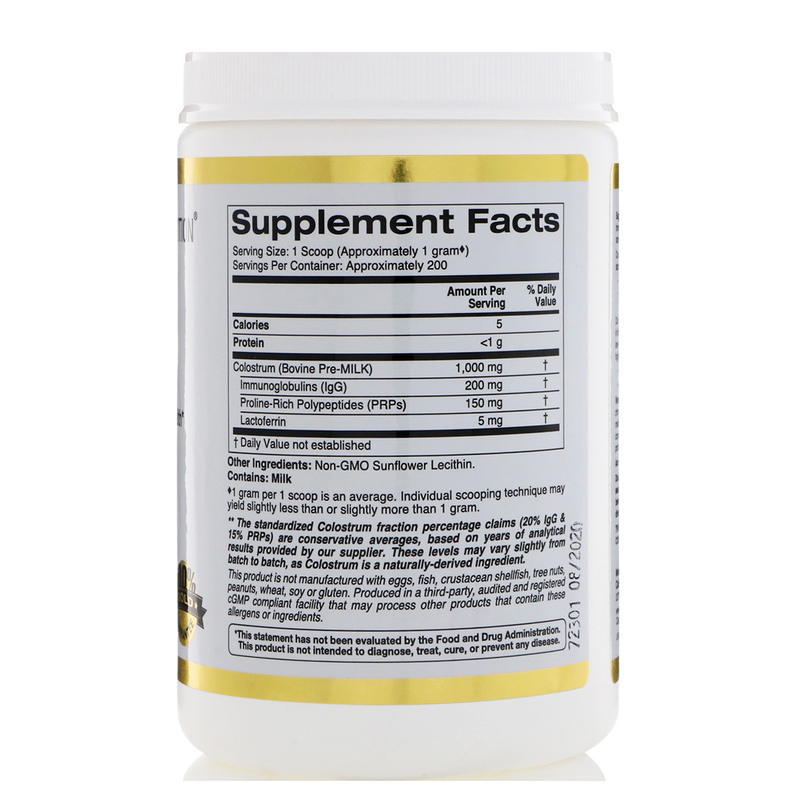 ♦1 gram per 1 scoop is an average. Individual scooping technique may yield slightly less than or slightly more than 1 gram. This product is not manufactured with eggs, fish, crustacean shellfish, tree nuts, peanuts, wheat, soy, or gluten. Produced in a cGMP complaint facility that may process other products that contain these allergens or ingredients. Aroma, color consistency and taste may vary. Double safety sealed, with outer shrink wrap film and inner bottle freshness seal. Do not use if seal is missing or broken. Store in a cool, dry place, ideally between 59º-77ºF (15º-25ºC). Improper storage conditions, such as exposure to direct sunlight, high heat & humidity can cause product degradation over time.